For establishing wireless communication with a remote device, usually we use radio waves, optical radiations and sometimes acoustic waves. Basically, these types of wireless communications change their frequencies. All these communications have variable frequencies starting from bands like HF,LF, VHF, UHF bands, and so on. Optical radiations use infrared and visible section of the spectrum; acoustic waves use an ultrasonic portion of the frequency spectrum; and, micro and millimeter waves are referred to as radio waves. IR radiation is the section of the electromagnetic spectrum that has wavelengths smaller than microwaves and longer than the visible light wavelengths. The infrared region is from 0.75um to 1000umand, the IR waves are too small to be seen with the human eyes.If the wavelength region is from 0.75um to 3um – it is calledas near infrared; the region from 3um to 6um is called as mid infrared; and,if the region is higher than 6um, then it is called as far infrared. These radiations have been broadly used in various sensors and electronic gadgets. Right from the TV remotes to the complicated devices like night-vision equipments use IR waves. The following section discusses about the PIR sensor basics and its applications. The term PIR is the short form ofthe PassiveInfra Red. The term “passive”indicates that the sensor does not actively take part in the process, whichmeans, it does not emit the referred IR signals itself, rather passively detects the infrared radiationscoming from thehuman body in the surrounding area. The detected radiations are converted into an electrical charge, which is proportional to the detected level of the radiation. Then this charge is further improved by a built in FET and fed to the output pin of the device which becomes applicable to an external circuit for further triggering and amplification of the alarm stages.The PIR sensor range is up to 10 meters at an angle of +15o or -15o. The Passive infrared sensors consist of three pins as indicated in the diagram shown above. Pin1 corresponds to the drain terminal of the device, which should be connected to the positive supply 5V DC. Pin2 corresponds to the source terminal of the device, which should be connected to the ground terminal via a 100K or 47K resistor. 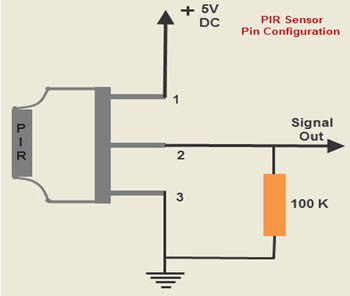 The Pin2 is the output pin of the sensor, and the detected IR signal is carried forward to an amplifier from the pin 2 of the sensor. Pin3 of the sensor is connected to the ground. The PIR sensors are more complicated thanthe other sensors as they consists of two slots. These slots are made of a special material which is sensitive to IR. The Fresnel lens is used to see that the two slots of the PIR can see out past some distance. When the sensor is inactive, then the two slots sense the same amount of IR.The ambient amount radiates from the outdoors, walls or room,etc. 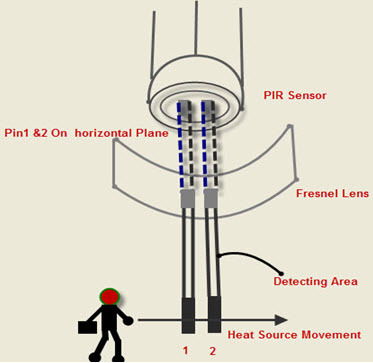 When a human body or any animal passes by, then it intercepts the first slot of the PIR sensor. This causes a positive differential change between the two bisects.When a human body leaves the sensing area,the sensor generates a negative differential change between the two bisects. The infrared sensor itself is housed in a hermetically sealed metal to improve humidity/temperature/noise/immunity. There is a window which is made of typically coated silicon material to protect the sensing element. In the above segment, we have learned the pin outs of a PIR sensor, now let’s move on to study a simple application of the PIR sensor. The below diagram depicts a motion detector PIR sensor circuit. 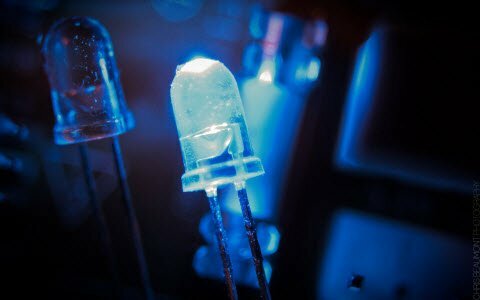 In the presence of a human IR energy or radiation, the infrared sensor detects the energy and immediately converts it into minute electrical pulses, enough to activate the transistor BC547 into conduction and to make its collector go low. 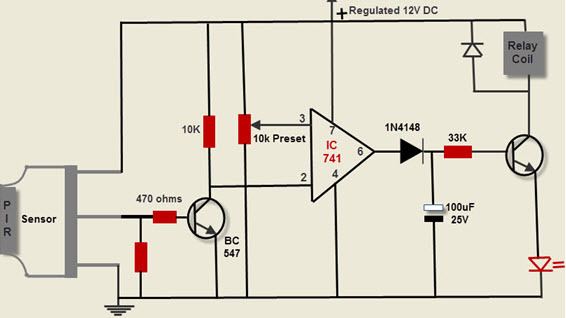 As a comparator, the IC741 is set up –which consists of 8 pins. Wherein the pin3 is allocated as the reference input, while the Pin2 as the sensing input. When the collector terminal of the transistor goes low, then the potential pin2 of the IC becomes lower than the potential pin3. Immediately it makes the output of the IC high, triggering the relay driver consisting of another transistor and relay. The relay triggers and switches on the alarm device, which is connected to the circuit. The capacitor 100uF/25V makes sure that the relay remains on even after the passive infrared sensor is turned off possibly due the exit of the radiation source. The PIR sensor device must be properly enclosed in a Fresnel lens cover to ensure that its efficiency is sufficiently enhanced. 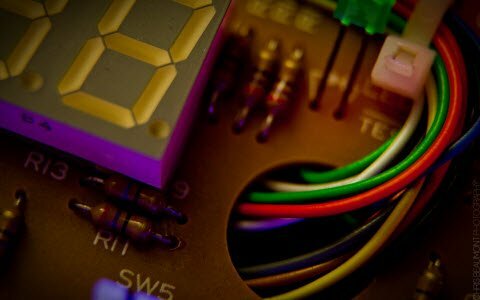 By understanding the use and limitations of sensors, gives a clear idea of developing the projects. 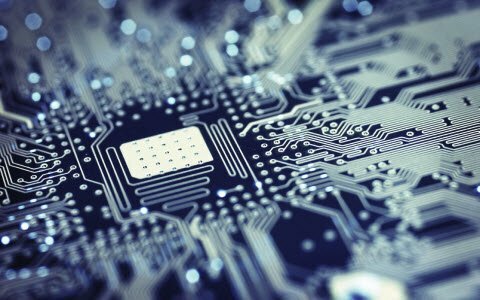 Advanced level projects such as SCADA, fuzzy logic control, data acquisition usually adopts embedded systems and these projects requires software domain knowledge, especially the C language. Here, the details about a few passive infrared sensor based projects with description is given below. The main aim of this project is to opening and closing of doors, in places wherein a person’s presence is mandatory – for instance, hotels, shopping malls, theaters,etc. this project consists of a PIR sensor that senses the presence of the human body and sends pulses to the 8051 microcontroller. This microcontroller controls the motor driver by sending suitable pulses to its input and enable pins. The main intention of this project is to provide security. This project is based on PIR sensor with an integrated circuit which generates a siren. This sensor senses the infrared radiation which is emitted from the humans and then gives a digital output. This digital output is applied to the UM3561 IC. Thus, it generates the sound when any human body is detected. The UM3561 IC is a ROM IC, that generates multi siren tones such as fire engine sirens, ambulance sirens, machine gun sound and police sirens. 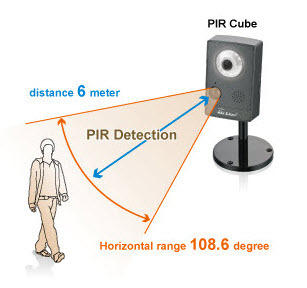 The human detection robot using PIR sensor mainly detects human, and it is based on an 8-bit microcontroller. A passive infrared sensors used to detect the human beings and this project is mainly used to rescue people stuck in debris during earthquake. It basically brings humans stuck under debris to the surface, thereby saving them effectively. The main goal of this project is to control a stepper motor using PIR sensor. 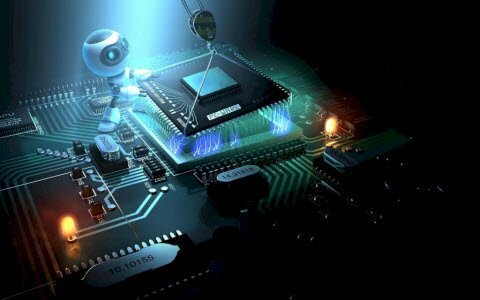 This project is mainly based on the robotic technology. This technology is mainly used for advanced applications. In this project, internally PIR sensor is used for excellent performance- IR sensor is used in burglar alarm systems, light switches, visitor present monitoring and robots. In robotics, stepper motors are used widely and they offer continuous rotation as well as amazing precision. Thus, an overview of PIR sensor basics and its applications has been discussed. These sensors are used in many applications such as in real-time monitoring including physical health, electronic security systems, etc. 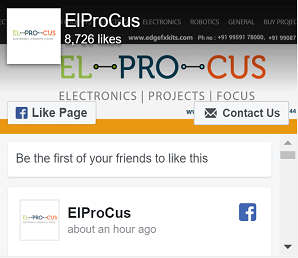 Apart from this, for any help regarding this topic or sensor based project ideas, you can contact us by commenting in the comment section below. hi…will PIR sensor detect non-living object? The PIR sensor can’t detect non-living things, or living things that don’t move. I want to buy a PIR to automate room light and fan both.is it possible to make them automated with one PIR sensor in different time or i will have to buy separate PIR for both load? please tell me any good PIR that gives response time very quickly. No, there is no particular sensor for room light as well as the fan. Is Pir sensor works Dark only? ?then Wt about day time?? Yes, because it senses the heat of a person (or) animal rather than visible light. I m electronic hobbiest person.i am searching a sensor. When a person passing through the led light they must on for few minutes like 1-2 minutes.& when the person lives that area the led must goes off.Which sensor can I use in that solar led light. I sincerely appreciate your kind response regarding my article. PIR sensor will be suitable for your application. 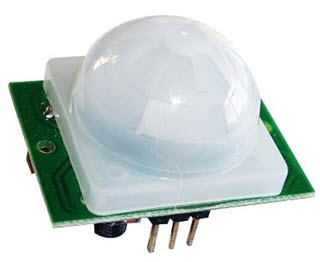 what will happen if pir sensor covered by something? I sincerely appreciate your kind response regarding my article. As per your query, PIR can be covered with regular plastic it will work. is this time of PIR sensor suitable for detecting and repelling birds and bats? 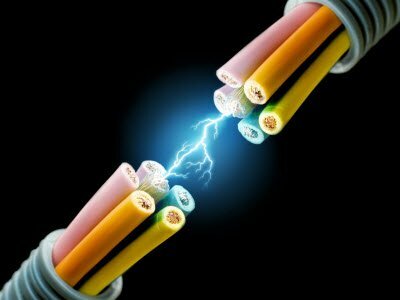 can it be use on a wind turbine and how can i connect with wind turbine?